New Delhi: Spiritual leader Sadhguru Jaggi Vasudev advocates moving children to specialised fields after the age of 12 years, citing the example of cricketing legend Sachin Tendulkar. At a national conference of principals of Kendirya Vidyalayas and Navodaya Vidyalas from across the country held here on Wednesday, Sadhguru called for turning the education system around in the country, which he said was aimed at producing clerks. Speaking in the national conference, which was attended 1800 heads, "Nobody asks about Sachin Tendulkar's education. All he did was hit the ball, hit the ball, hit the ball, and you made him Bharat Ratna. That is because somebody was devoted to just hitting the ball. 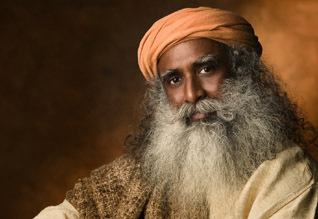 No mathematics, no chemistry, no nonsense," Sadhguru said at the event. The children should be exposed to different subjects till 12 years after which they should start moving towards specialised fields for developing profound competence, he explained. "Now the time has come when we start turning it around to create ideal conditions for arts, music, theatre and sports. It is not just clerks, teachers, managers and scientists who make a nation. A nation is made by all sorts of talents," he said. Highlighting the significance of teachers, Sadhguru said teaching is a phenomenal tool for inspiring and enhancing the lives of people to create a great nation and world. Joint Secretary (school education) of Human Resources Development Ministry RC Meena, participated as the chief guest at the event. The two-day conference will conclude on Thursday with Union HRD Minister Prakash Javadekar addressing the gathering.